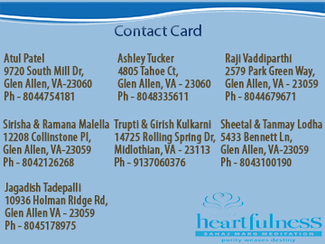 We would like invite you for a Meditation session with instructors to assist you in your practice/progress. Please try to arrive 10 minutes early. This will help you relax and settle down before the meditation begins.